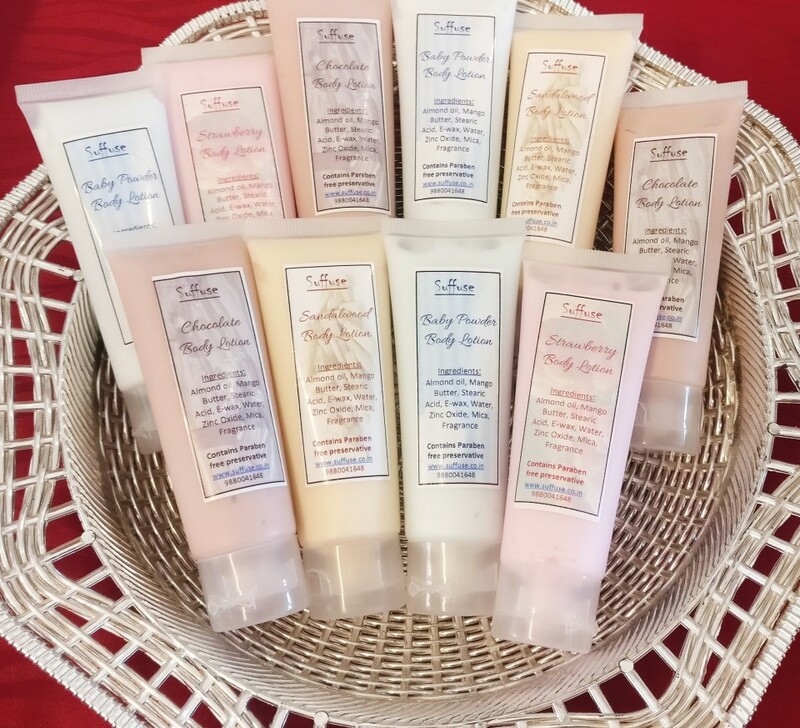 Light weight, quick absorbing body lotions that moisturize and protect your skin for over 12 hours. Suitable for normal to oily skin. Sweet Almond oil, E-wax, Water, Skin safe Mica, Fragrance, Paraben free preservative. Apply on skin as often as required.